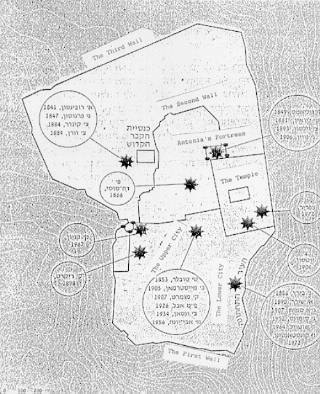 The Hakra Fortress: The various assumptions of the location of the Hakra in Jerusalem. The reason for the existence of so many different assumptions, is as a result of the researchers claiming that the Temple was located on the Rock of the Golden Dome. The sources claim that there was a view from the Hakra into the Temple.